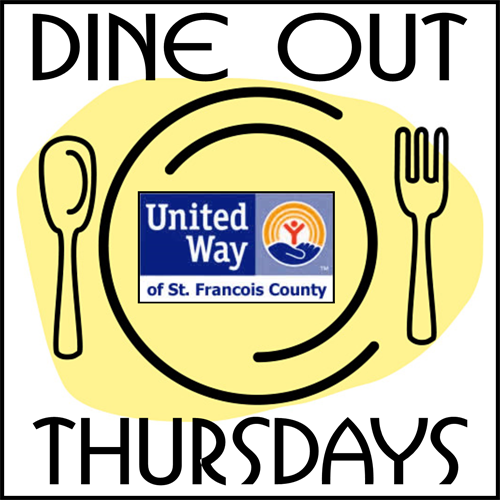 When you dine out at Pasta House & Subway: Bismarck, Bonne Terre, Desloge, & Farmington on Thursday, November 8, 2018, a portion of the cost of your meal goes to the United Way of St. Francois County. You pay nothing extra! This applies to all meals purchased throughout the day on "Dine Out" day!